On the second day of the State Visit of Their Majesties The King and Queen to Portugal activities included a seminar on renewable energy, sustainable fisheries, an exhibition on architecture, a book launch and a variety of cultural events. His Majesty King Harald began the day by attending the opening of the seminar "Portuguese – Norwegian Forum of Competence", which focused on renewable energy, sustainable fisheries and eGovernment. 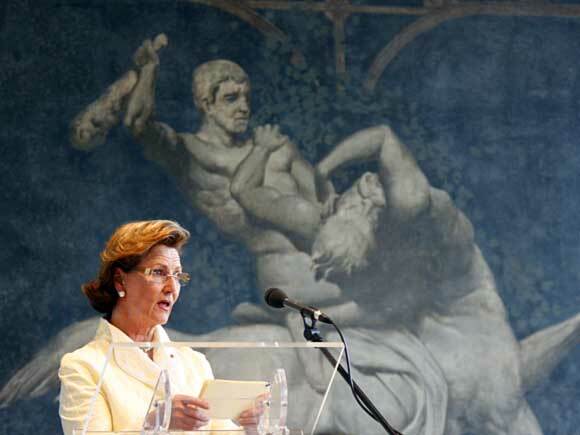 In his opening speech, the King emphasised that Portugal and Norway share rich traditions linking them to the sea; as a means of transportation and communication, as a source of trade, and as a basis for technological innovation. Fish is the most important commodity on the Norwegian-Portuguese market. Portuguese cuisine includes a great deal of seafood, and klippfish is a key ingredient of bacalhau, the Portuguese national dish. Approximately 55 per cent of the klippfish sold in Portugal, as well as a large proportion of the salmon products, come from Norway. 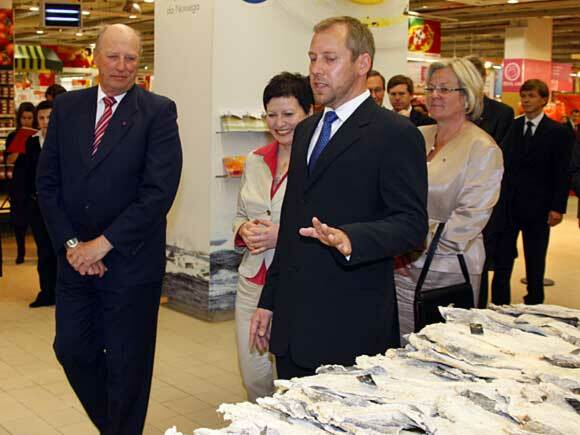 King Harald visited the Continente Supermarket together with the Portuguese Minister of Agriculture and Fisheries, Mr Jaime Silva and the Norwegian Minister of Fisheries and Coastal Affairs, Ms Helga Pedersen. The party was given a presentation on the market for Norwegian fish in Portugal. 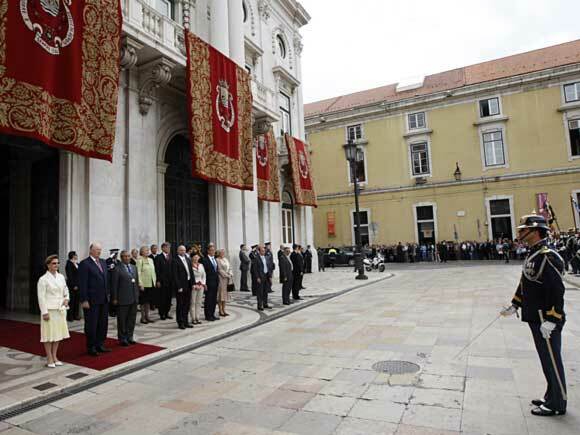 The King and Queen subsequently visited Lisbon City Hall, where they were officially received by Mayor António Costa. The King conducted an inspection of the Honour Guard and was given the keys to the city. Afterward, the King and Queen met with members of the diplomatic corps and Norwegian community living in the area around Lisbon. The event included reading and performance of selected scenes from Henrik Ibsen and Jon Fosse by Portuguese and Norwegian actors, as well as a musical interlude by Norwegian pianist Anne Kaasa.